Isra University Hyderabad made an announcement of the opening of admissions 2018 into bachelors, masters and postgraduate programs for semester system and on annual basis in spring and fall semesters. 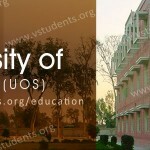 ISRA University is providing high-quality education to the people of Sindh. This university is ranked among performing universities in the private sector. Following degree programs are announced in the advertisement which are BS Nursing, MBBS, BDS, DHCA, MPH, DPT, BBA, FCPS, MCPS, BSCS, BS(SE), BS(TC), BSIT, MBA, MS, MPhil, Ph.D. and different diplomas. 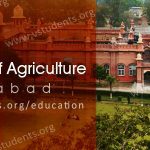 You can get more information about admission advertisement 2018, form download, last date, fee structure, entry test, merit list, results, scholarships and eligibility requirements for getting admission at ISRA University. University reserves the right to make adjustments in the number of seats for admission and according to prescribed quota mentioned in the university charter as per Govt. approved the policy. 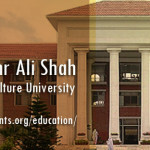 University has three campuses which are at Hyderabad, Karachi, and Islamabad. 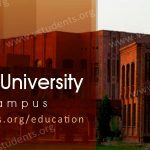 ISRA University is a private sector university which is established by Isra Islamic Foundation which is not for profit organization. At present admission into the different study, programs are advertised by the University for admission into MBBS, BDS, DPT, BBA, FCPS, MBA, and MS. These degree programs are either annual or semester based. Entry test is taken by the university administration. Spring semester is stared in the month of March and Fall semester classes are scheduled in November. Detail information about admission form download, admission last date, undergraduate and postgraduate degree program, Isra University entry test, merit list, fee structure can be obtained by going through the article. At the same time, University of Karachi Admissions are open so you can check out that also. Admissions for the session spring 2018 are now announced by the Isra University and admission forms are available at the admission office. Due date to apply for admission for the spring semester in DPT is 19th Jan 2018. Fall Admissions 2018 at ISRA University will be started in the month of September into degree programs and diplomas. Admission test will be held in the month of October and complete procedure will be completed and classes will commence in the month of November. 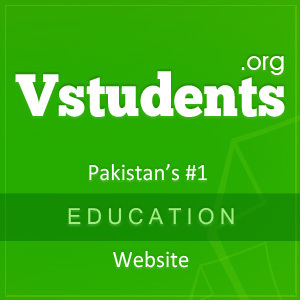 Looking for getting admission in Top Karachi Universities? For complete details, visit MAJU Karachi, and Iqra University Karachi. University has advertised the admissions for the session 2018 into various degree programs ranging from undergraduate to postgraduate and doctorate. Interested candidates can apply online on the university website by downloading the admission form or getting the prospectus from the university admission office. Isra University fee structure is different for open merit and self-finance basis. Fee package for that student who gets admission on open merit is nominal as compared to the self-financed fee structure.Fee packages of some of the degree programs offered by the Isra University for the session 2018 are given below for the information of students. 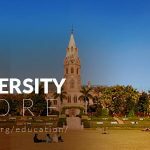 Further details about fee structure of Isra University Hyderabad for degree programs offered by the university can be seen by clicking here. 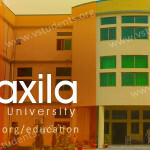 Also find AKU Karachi fee structure guide here. Admission form 2018 for acquiring admission at ISRA University into degree programs advertised by the admission office can be obtained during the office hours. ISRA University admission form 2018 and prospectus is available at the admission office of the University. 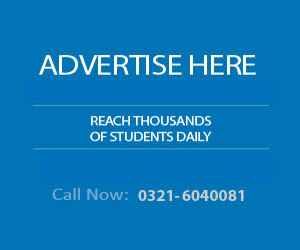 Candidates who wish to apply for admission at Isra University can be obtained by click Here. 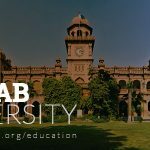 Applicants for getting admission into bachelors and master degree programs are required to take the Isra University Admission Test (IUAT). Qualifying the entry test is must for getting the admission and this is all on the merit basis. Both Pakistani and foreign students are eligible to take admission at the Isra University. Admission Kit can be obtained from the ISRA University admission office containing the prospectus and admission form or download admission form Here and deposit the challan form of Rs. 1500/- into designated bank branch mentioned in the advertisement. Submit all these documents to the admission office of the Isra University. If a student has passed intermediate examination or equivalent with first division then he or she is eligible for admission at ISRA University Hyderabad into undergraduate programs like MBBS, BDS, DPT etc. Eligibility criteria for MS and MPhil programs are having master degree with minimum 2.5 cumulative grade point average or first division in case of the annual system. Different study programs of undergraduate, masters, MS, MPhil and Ph.D. level are initiated by the university with the approval of HEC. The degree programs for which students can enroll at the Isra University are BS Nursing, MBBS, BDS, DHCA, MPH, DPT, BBA, FCPS, MBA, MS, MPhil and Ph.D., MCPS and various diplomas. According to Pakistan Medical and Dental Council (PMDC), entry test is the must for admission into MBBS and BDS degree programs. Isra University is also following this requirement to scrutinize the applicant for admissions into various undergraduate and postgraduate degree programs. Entry test is held in all the campuses of the university at the same time and the result is announced after two weeks of the conduct of the test. ISRA University Merit list 2018 is displayed for obtaining admission into different study programs like MBBS, FCPS, BDS, BS and MPhil programs. Merit list is displayed on the notice board of the admission office. Applicants can check the merit list from Isra University main campus or can download it from the website of the university Merit list 2018 for admission at Isra University can be seen by clicking Here. 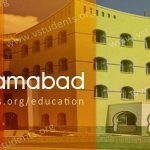 Isra University Hyderabad has started a number of financial assistance programs for granting scholarships to the students who cannot afford the expenses of higher studies in the University having an excellent academic record. Isra University in collaboration with any organization is arranging the funds for scholarships for the students who are registered with the university.